We enjoyed hearing from a number of you since our last letter was mailed in December. Some of you also mentioned the last two issues of the "Footnotes", which you found helpful. I am glad you could use the article "Islamization of Christianity" as a basis for discussions with friends. Thank you all who sent greetings at Christmas. Very special thanks belong to our friend Marla McGill in Pampa, Texas, who will again copy this letter and mail it out single-handedly as a gift to us and to you. I wanted to write again, since much has happened in our work and life. But I also wanted to tell you that we will again have a summer study session in Switzerland this year. We shall welcome students from July 24 until the end of August. We anticipate a number of Eastern Europeans there as well for lectures, taped studies and long discussions in Gryon and some of the sites we visit in Switzerland to discuss the effects of ideas and culture on the way people live. Please tell this to anyone who might be interested to spend time with us this summer. They should write to us directly. In New York we continue our regular lectures and discussions. The two excellent books by David Wells "No Place For Truth" and "God In The Wasteland" have been rich source material for a more profound understanding of our culture and the church in it. Understandably the books do not only find a positive echo, since they lament the decline of content, theological obedience and critical distance to a culture which is more marked by interest in self and feelings than in truth and responsibility. A broad spectrum of Christian thought is analyzed and all sorts of areas are mentioned and found in footnotes, which could well serve as a basis for further discussions. I will prepare a talk for the end of April, in which I shall suggest that our interest in sports is a new form of paganism, a deliberate neglect of the mind in favor of nature, the body and health. Debby and I also led a discussion on death, specifically on God's attitude to this human tragedy. Here again, the recent book by a group of men around Clark Pinnock ("The Openness of God", IVP) is most helpful. I received it from Clark in response to my Islamization paper. Later in February Debby gave an excellent study of William Henry III "In Defense of Elitism". Henry, who was a TIME writer in their cultural section until is recent death, gives you a series of provocative arguments against the idea of political correctness, starting with such simple suggestions that school itself is an elitist idea. You go to get an education! We enjoyed watching Tarkovski's "The Mirror" together at John Edmark's flat in the city. Also, you should try to see "A Man of No Importance", an Irish film of about a slice of real life and human courage, failure and limited fulfillment. My work at the King's College was terminated at the end of 1994. The school was closed at that time. I hope that some form for lectures to the wider NY public can later be found, but for the time being I must find a different source of income. At the beginning of December I participated in a symposium of the Ethics and Public Policy Center in Washington on the Presence of PC on Christian College Campuses. It was an interesting exchange among a few scholars after a presentation by Denis DiSouza, author of "Illiberal Education". We need to have more discernment in the current discussion in such insights as that political, economic and cultural freedom should not invade territories of the intellect and of esthetics. In January I attended a seminar in California in preparation for a new and predominantly Muslim context, in which the Russian Teachers Conferences are being held. I also helped in the preparations for a curriculum on morals and ethics to be used in American schools. Later, I spend three days in Cleveland to speak with a number of people on our work and the continued need for a clearer understanding of the Bible, its light in the current debates and its cohesion as a way to understand the world in which we live as human beings. Bob and Marilynn opened their home again with all their warmth and interest. Now, as I write to you, a little more than a week has passed since attending the National Prayer Breakfast in Washington in response to an invitation to address the group of the Navigators there around the edges of the large gathering. I have spend some time wondering about this strange phenomenon of a National Prayer Breakfast. There is a certain appeal to finding that many people gathered and seeing some old faces and hearing familiar speakers. But while one can be somewhat attracted by this, the bits and pieces together create an unappetizing stew. What part exactly is poisonous? How much has this gathering moved from the earlier interest in real prayer across denominational lines among people in government? It gave me the impression of being at a County Fair with many booths, where local artists exposed their goods together with the sellers of snake oil. Sen. Bennett from Utah prays as a Mormon; VP Al Gore speaks of the spirit of Christ that brought together Christians, Jews, Muslims, Hindus or others in their own personal religions; President Clinton asks that we use words to build up and not criticize people like him, after he has made such blatantly wrong decisions in policy and appointments without remorse. What exactly is it that unites the people here? But it is not a time of prayer...There were touching times, some good presentations (e.g. Elizabeth Dole) and good conversations in smaller circles. The parts were good when an effort was made, but the whole was utter confusion, when one relates it to the Christianity taught in the Bible. This is a scene of self-approval by those who seek the praise of men. In a free society you can always create the god of your choice. A step further, as David Wells argues in a different context, you create the feeling of your choice. I thank God for the courageous, more discerning and loving Christians in Washington who argue Christ's cause with less of a need to be approved by men except in the decency of their manners and the graciousness of their approach. I have moved ten time zones East since then. When I sit down for supper here, Debby is rising for the day. I am sitting at the corner of, yes, October and Communist streets in a large Sanatorium in the town of Sterlitamak, in the Southern Ural region of Russia. I came here yesterday after a week in Ufa, the capital of the Bashkortostan Autonomous Republic. Who would have ever thought....? There is still much snow and ice in the streets. People stand in lines in many places between rows and rows of monotonous pre-fabricated cement block apartment buildings. They go to work when it is still dark. The public transport is free, but not all that safe. One has to admire human ingenuity and will to keep these busses running. But let me pick you up further back. In late October I spoke for a week in the old Stalinist labor camp town of Vorkuta, North of the Arctic Circle and just West of the Ob river. We encountered tremendous opposition from the church. Articles had warned the town about Protestants, who were the "great whore of Babylon". Physical contact with us would even make people sick. Three participants, all from the church, handed out leaflets during the conference about our false teaching. They wrote a letter to their President, to the US embassy and to the Labor Union Council in Moscow against us. But, as often, God turned this in his favor. Like the proverbial forbidden cookie jar, teachers came in larger numbers than anticipated. The education department stood firmly for the freedom to teach about Christian morals and ethics, and I was able to give my talks with real freedom and conviction. Many took part in the discussions, I was invited to lecture to a Management Training school as well and to give an interview on a local TV station. My offer to talk with the priests was repelled. They left after three days, only to make such trouble elsewhere that a Conference in a second town of the Komi republic in December was canceled at short notice. We went to Apatity-Kirovsk (130 miles south of Murmansk) for the second week and found a totally open situation. A town of 85000 inhabitants without a church is governed by a Jewish mayor and a delightful group of educational officials. They have contact with Norwegian schools and Finnish ecologists, they seek Western investments and anyone who can give them help and ideas to create jobs for their children. They were so friendly to the teaching from the Bible about Christianity which we were able to freely give them. Lively discussions, genuine interest and tears when we left give me some hope there. At the official fare-well dinner with the mayor and the head of the city council, I had opportunity for two interesting discussions. The city council lady described her reaction to hearing about our lives, our being married for so many years to the same spouse and a good number of children in our families. There was much sadness in her voice. She also would have wanted such freedom, such hope and confidence. I point out in my lectures that materialism, there or here, does not provide a sufficient foundation and encouragement for such longings to be honored. She then described a typical day and chose to relate the celebrations for the 50th anniversary of the defeat of fascism. They had closed the schools and bussed children to the hills. There they had speeches, walked through the old trenches and eaten a meal just like the soldiers then in 1944. Now they were looking forward to the celebration in 1995 of the end of World War II. I could not resist a comment on the tragedy that the great things pointed out to school children are past events, in the field of war, at a time when it is becoming more and more obvious how closely linked were Hitler and Stalin in the pursuit of socialism and in their murderous attempt to control the world. They now faced challenges, for which past victories gave them no preparations, no direction and no protection. Her face got a little tense after that. The mayor spoke of his desires for the town and its people, including a church to be built by the town within the next three years. My experiences in Vorkuta made me remind the mayor that our Conference and the distributed materials were for all citizens and their children, not only for those who would go to the church. He saw the point and seemed to agree warmly. How often the church prevents people from being exposed to God's word and reality. While there wonderful men in the church, the claim to be the only true church is married to an exclusive nationalism in Russia as well as to a mind-set borrowed from the past 70 years of fighting the enemy. The military language is so common in daily discourse ("victory, closing the ranks, marching forward, the battle to be won, extermination of the enemy, watchfulness," etc.). It is present in the church as a mentality. Partially that is the result of a real care for the people in their ignorance. Often it squashes all genuine inquiry, discussion and discovery of the truth outside the control of the church. A frequent accusation is that Christianity can not be known, read and discovered. It has to be experienced in the mystery of the trans-substantiated Eucharist and in the suffering and obedience in people's lives. God is found only in mysteries of the church, not in the Bible in response to the search by the whole person for answers to life's basic questions. But most teachers open the Bible as a great treasure. They welcome the invitation to discover for themselves what was kept from them. In December I attended two conferences in Archangels region, in the towns of Kotlas and in Novodvinsk. The first is a railroad town, the second has a giant paper pulp plant. Nicolai, director of religious education in the region, invited me back to Archangels, arranged a lecture at the University law faculty and then an evening at the newly established Christian Culture Center. We had a lively and constructive discussion that night for several hours. There were good questions, a varied audience from students to old women. There is little study material available, though my tapes and a number of Christian books translated into Russian are always in use. I have a standing invitation to return. The Rector of the University would like me to come and teach a course for a couple of weeks as soon as I can! Now in Sterlitamak, after a week in Ufa, we are in new territory. There are three parts to Sterlitamak: an old section by the river with many old log cabins, variously decorated in bright paint, ginger bread window frames and many huts, stables and out houses. There is a church and a cemetery. From one house a 70 year old woman went to swim in the river in a pool carved out daily from the ice. She is in touch with nature, finding her place in the cosmos of things for a longer and better life. A second part is the large number of petro-chemical plants, plastics and all that is derived from that industry. The third part is new: built in the last thirty years, these are the socialist apartments, small, smelly and equal. The furniture is veneer. Large TVs are in most places. Any beauty is a personal matter, though the stores offer little variety. Color, curtains of any quality, lights are only found in public places: the fun is organized collectively. In the modern part of town you find the eternal flame at the Monument to the Unknown Soldier and the monuments to Lenin, to the victory over fascism and to the Red victory over the Whites in the Civil war in 1920. The White army and Czech troops under Koljak fought from this region in the Urals against the Bolsheviks towards Moscow. They failed to unite with Deniken in the South and others around Archangels and were defeated...and Bolshevism reigned for 70 years. Time here has not only stood still, it seems it has gone back to the celebration of things past. There is no "human" monument about real people: no mother and child, no musician, no poet; there is no playground of any beauty, even they reveal shapes of rockets, tanks and turrets. Everything is seen in light of the Revolution, the Great Fatherland war, the victory of the Red army. I feel quite heavy, burdened and to some extent frustrated. With such a perspective, the road ahead is not in their view. At times I lighten the burden for myself and heavier for them by asking whatever happened to the White martyrs, or where were the churches located before the Stalinist terror, or by suggesting that the spread of electricity has nothing to do with Lenin. And then I see the minds made aware of and hearts open to the truth of the Gospel. That goes past all the lies about man, history and the real world and opens up a view with hope. They listen, ask their questions, observe us at close quarters and are surprised by both method and content. We give much material and encourage them to study it, to discuss it as colleagues and with their class. There is some hope. Many of the younger people begin to cope. They must wade past the Snickers bars to more productive jobs. But some do. The husband of a young German teacher is a welder, looking for work each day on different construction sites, where he is needed. No longer is he assigned to a crew that merely waits idly. He finds pleasure in being his own boss, works hard and successfully. There is also hope on another level. Tanja, the deputy education head in Kotlas, was an atheist. She was polite, but very reserved. We discussed much. She heard me and followed the others in their teaching. The third day she told me that she had started to read the Bible. "Could God really exist and love us?" When she took us to the train on the fifth day, she came to me with her dictionary. There was a word she wanted to use, but had to look up in German. "Reue" is the word for repentance. "That is what I must do now after all these years of believing a lie about God!" Bashkortostan is 1/3rd Muslim, more nationalistically than religiously so. As part of public education, Islam had its conference last year. This time the Ministry of Education wants to have lectures on Christianity for the educators. It is called, in the funny translation from the Russian :" The Personalization of Education Through the Application of Universal Human Values." Now you do something with that! There is obviously no need to be devious or to dilute the content of the Bible. In fact, when I was accused in the discussion sessions last week that I had evidently forgotten that I was forbidden to propagandize Christianity, I responded in somewhat of the following way: Propaganda is the pretense of truth. We, however, openly talked about not only Christianity as true, but about the truth of the real world without the confusing glasses of ideology. Secondly, any educated person has to be familiar with Christianity, its message, its justification and its effect on the thinking and culture of people in order to understand the modern world. A further question asked whether I was suggesting that one trade Islam for Christianity. My response was that the search for a market economy for a better life also involved a willingness to open the market of ideas, so that each person could decide what is the truth of the universe in light of how Islam or the Bible gave answers to basic human questions. Then I listed these and encouraged people to honestly seek answers, not traditions. In my lecture tomorrow I shall affirm the need to bring the person back into education. This stands against the child being seen as a tool for the advancement of the state, of society and of mankind. The failure of 20th century humanism is obvious. But a return to traditional folk customs, to mere music and stories and religion is not enough. There is no basis in any world view except the Bible for affirming the person of the individual in a moral/cultural/intellectual framework. Eastern religions, materialism, tribal paganism all deny the place of the individual. Furthermore, only Christianity gives the basis for universal human values in the description of man being made in the image of God. Our value lies in being human. This again is contrasted by the values placed on only some people in socialism, Eastern religions, Islam, etc. Only within Christianity is there room also for the atheist. Jesus teaches us that we should love our enemy, not annihilate him. The Bible should not be considered a religious rule book, but as God's description of the world he made and how we should come to know and serve him. For that reason, we should read the Bible to discover God's view of human beings, and to affirm the need to discern what is true and just. Jesus is not foremost a model of kindness or an effective teacher, but God in the flesh, come for our discovery that God exists and that he rewards those who diligently seek him. That explains our need for repentance and the struggle for morals. I can speak very freely about different world views. Few seem to take issue with my rejection of Marxist-Leninism or of other religions. Spread out before their mental eyes as a world view, not as a personal religion, and showing the failures to explain the basic realities of the human being, our condition and our needs, most teachers are surprised by both the freedom of choice I give them and the compelling reasons from the Bible which leave us only one choice. The more true we are to the real world, the fewer options we have to explain it. 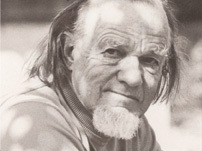 That is merely the confirmation of what Dr. Schaeffer always said. You can either be consistent with reality or with your world view. Only in Christianity can you be consistent with both at the same time. Finally, Natasha and Paul had their first child, Alexander Frederic, in Basel on February 9. A quantum leap for us. We are very happy for them. Their address: Pittet, Reichensteinerstr. 24, CH-4052 Basel, Switzerland. Naomi has applied to graduate schools. Hannah is making a name for herself at New York University. Isaac is quickly progressing in French and want to meet his nephew. We all send you warm and personal greetings.